Hanns Hörbiger (1860-1931) was an Austrian mining engineer by profession and in his spare time was an amateur astronomer. Today, he is probably better know as the father of the actors Paul and Attila Hörbiger. By gazing at the moon he became convinced that he was looking at a bright outer layer of ice. Hörbiger published his “Doctrine of Eternal Ice” around 1913 in a book co-authored with a schoolteacher named Philip Fauth. Hörbiger proposed an early form of catastrophism that saw the Earth capture a number of moons in succession. Periodically, each of these moons disintegrated and as they spiralled to earth producing enormous ‘ice showers’ followed by meteors of iron. He saw the effects of these impacts as the source of Flood myths and claimed that when our current Moon was captured around 9500 BC it triggered earthquakes that led to the destruction of Atlantis. His theories were hailed in Germany during the 1930’s and 1940’s and officially backed by the Nazis (see Ahnenerbe). Heather Pringle notes[0032.180] Hitler’s personal support for Hörbiger’s theories. There was a Viennese Hörbiger Institute for World Ice Science founded in 1932(p). Their publication Mitteilungen had two volumes published from 1941 to 1944 and a third volume 1971-1976(o). His ideas were adopted and developed further by Hans Bellamy in a number of his books. 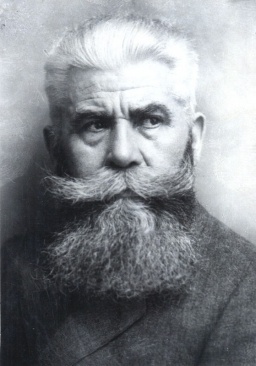 During the first half of the 20th century, many beyond the Nazi realm frequently referred to Hörbiger’s moon theory as authoritative. Hörbiger refused to accept the evidence that his ‘icy’ moon had a daytime temperature of 100°C. Followers of Hörbiger existed in Germany, Britain and France after the war, until an actual landing on the Moon demonstrated that it was composed of neither ice nor cheese. A number of other writers developed theories that were variations on Hörbiger’s ideas. 1954 saw the publication of The Moon Puzzle by the Swedish engineer, N.O. Bergquist, in which he suggested that earth had a close encounter with a planetoid which caused the ejection of a large amount of matter, which became our Moon leaving a huge scar we call the Pacific. Although many details of Berquist’s theory differ greatly from Hörbiger’s, he never refers to the then widely supported views of Hörbiger. Egerton Sykes founded and promoted an English post-war Hoerbiger Institute through his Atlantis magazine(q). In March 1948 Bellamy contributed a short article (Hoerbiger Monograph No. 1. 2nd Edition)(n) to the newsletter, reiterating his support for the idea that the capture of our moon led to the destruction of Atlantis. Uwe Topper, the controversial German researcher has continued to support much of Hörbiger’s ideas. Additionally, in 2003 Gary Gilligan, a prominent catastrophist, first proposed that our Moon had been captured around 2000 BC, which he has now revised to 1200 BC(I)! The August 2010 edition of the BBC’s Focus magazine (p.81), informs us that the Moon is moving away from Earth at a rate of 3.8cm per year, completely destroying the foundation of Hörbiger’s basic theory. The 9th Nov. 2011 issue of New Scientist published further evidence supporting this view(h), with further claims that this recession will reverse in the very distant future as the Earth’s rotation slows(r). In the 17th century Johannes Kepler demonstrated that when an object’s orbital velocity increases, its orbital radius will expand; thus, the Moon slowly recedes from Earth(d). This idea was discussed further in a BBC documentary broadcast on Feb.1st 2011(b). Nevertheless, updated Moon capture theories have been developed since Hörbiger. Emilio Spedicato has publisheda brief overview of recent contributions on the subject as well his own version(c), dating it to around 9450 BC, triggering the end of the Ice Age and the destruction of Atlantis! The story of lunar history took an unexpected turn in 2011 when the journal Nature published a paper by planetary scientists Erik Asphaug of the University of Santa Cruz and Martin Jutzi of the University of Berne who proposed that originally the Earth had two moons that later collided and formed our present satellite(e). At the end of 2011 two NASA lunar probes were launched(j) which may resolve this particular question. In America the WEL-Institute is dedicated to investigating Hörbiger’s ‘World Ice Theory’(k). I note that the U.S. is also home to associations concerned with both a Hollow Earth(l) and a Flat Earth(m)!